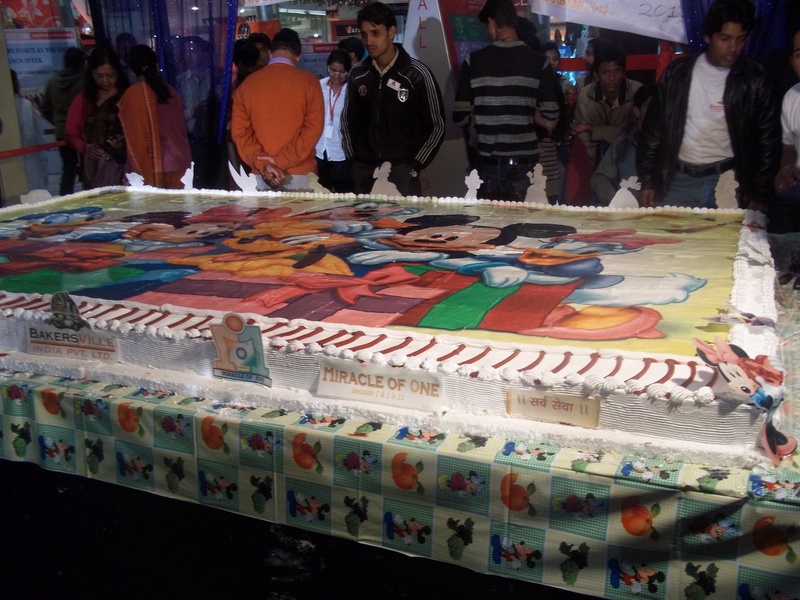 An NGO Shri Vision Social Empowerment & Welfare Association (SRV SEWA) established by Manish Vishnoei (born on November 7, 1978) of Indore, M.P., India, organized an event Miracle of One to promote the Project Khushi; in which Biggest Photo Cake of dimensions 11 x 7.5 feet was prepared on the eve of January 1, 2012 at Indore Central Mall, Indore, M.P. This egg less Cake sponsored by Baker’s Ville India Pvt. Ltd.was decorated by photograph of Mickey & friends made up of edible colors and sugar sheets. Comments for Biggest Photo Cake are now closed.